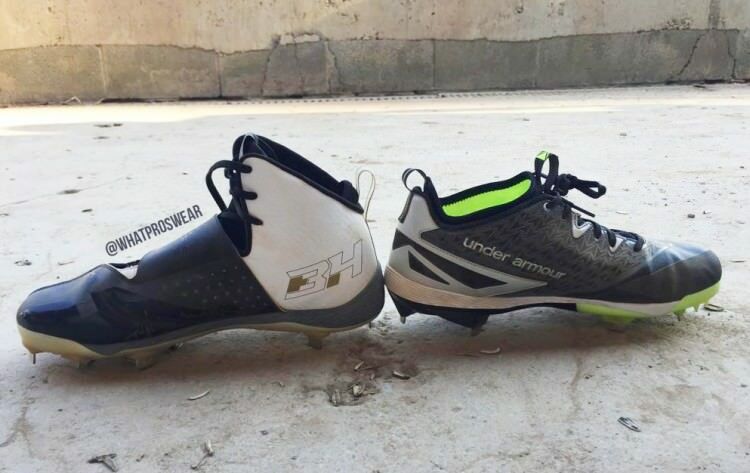 Could These Be Bryce Harper’s First Signature Cleat? The swag-sucking tentacles of WPW stretch far and wide. 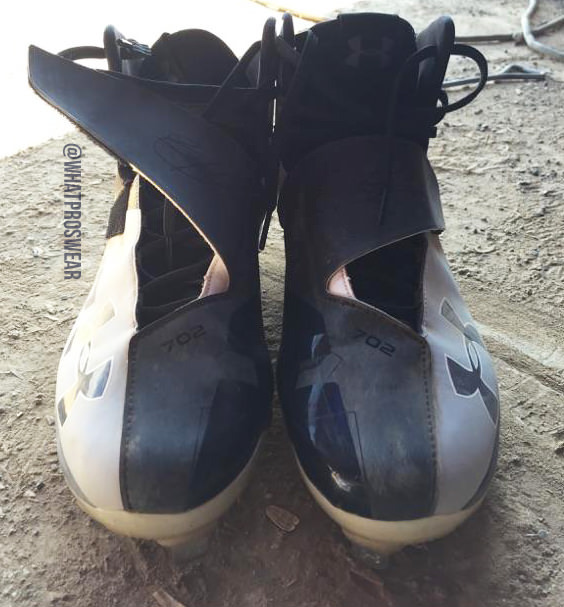 Recently a few photos showed up in our inbox from a D-1 college ballplayer who has been selected to test a couple of Under Armour cleats. 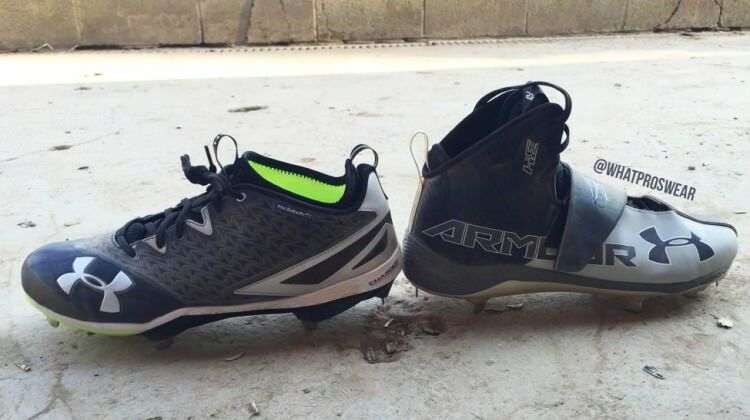 One of these cleats is very clearly a Bryce Harper model, and we think we might be looking at a conceptual design of Harper’s first true signature cleat. 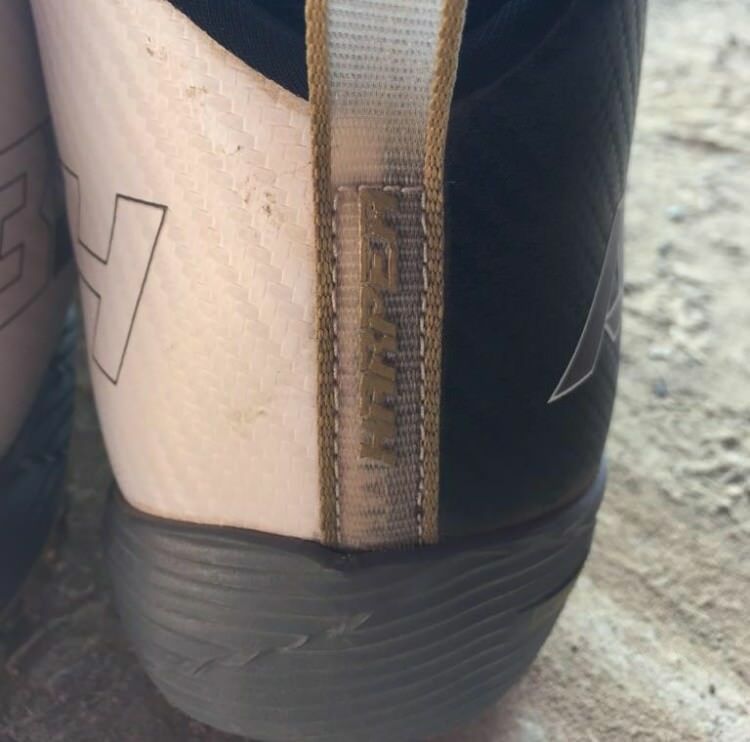 Keep in mind that the navy blue and grey most definitely wouldn’t end up on Bryce’s actual cleat. 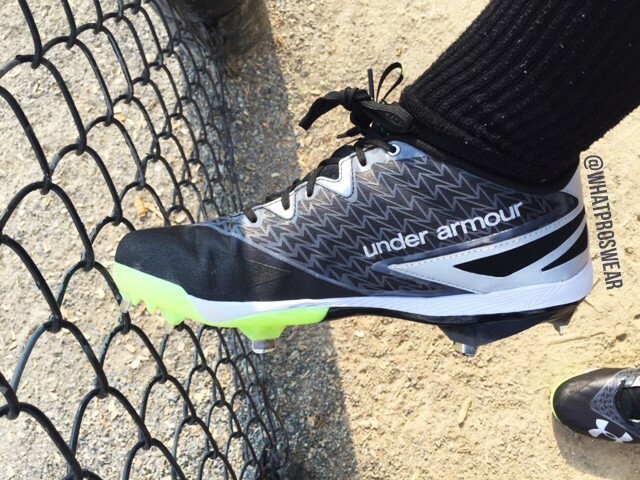 Also important to note, there is no release date, time table, or any other information surrounding these cleats. 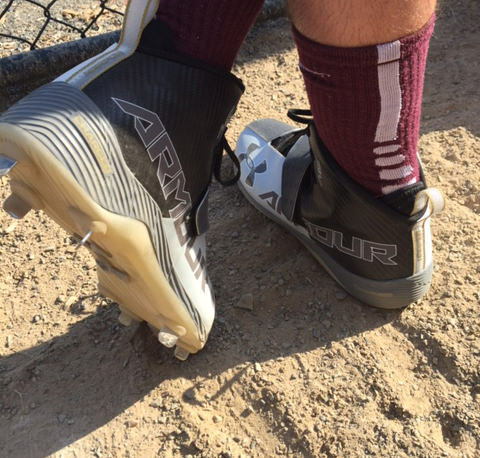 Manufacturers often ask college and minor league ballplayers to test products so they can learn how they perform and how they can make them better. That’s what these are. In the first picture you see it on the right, second on the left. Harper’s logo shows up on both sides. 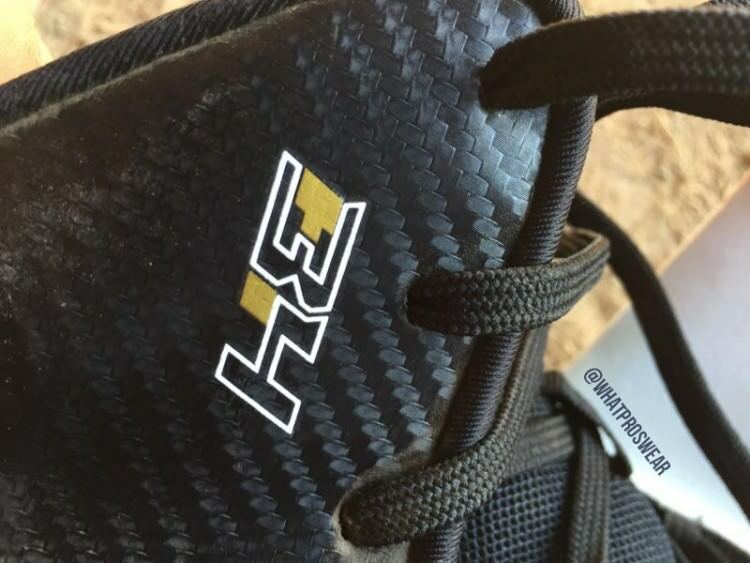 A closer look reveals the carbon fiber texture and Harper’s “BH34” logo. 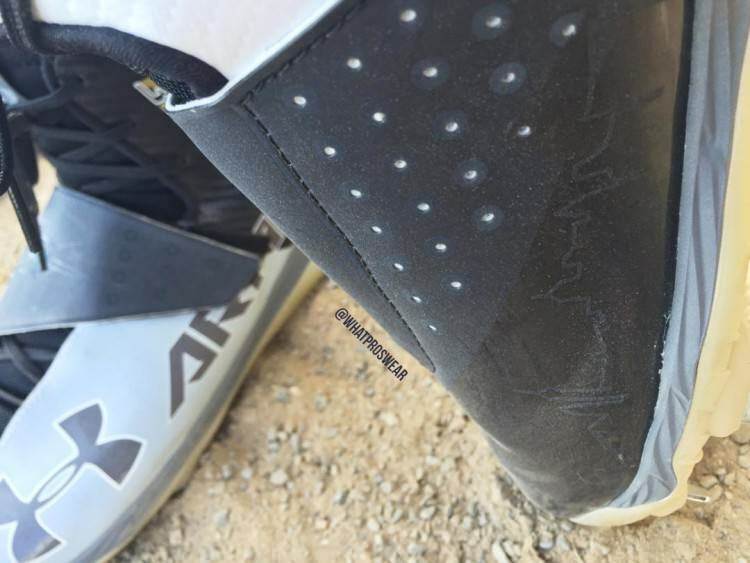 Here’s a head-on view of the straps, and an ode to Harper’s hometown, Las Vegas, aka the 702. 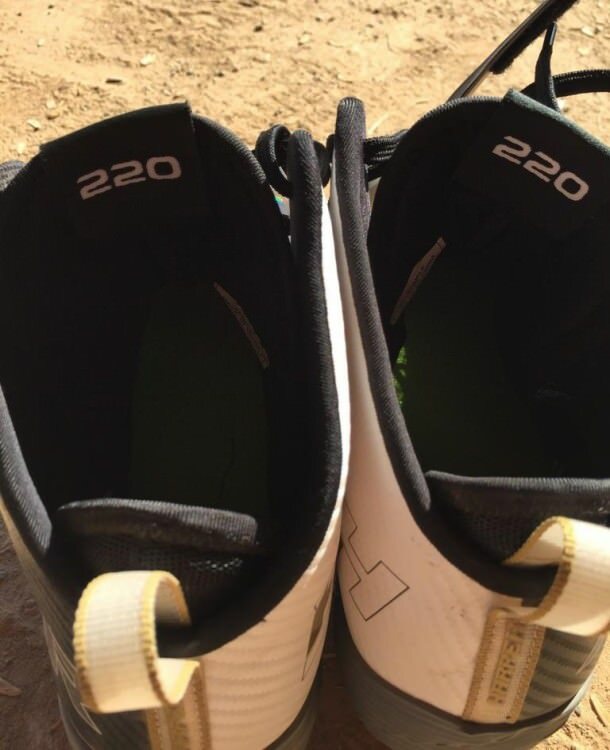 Inside the tongue shows “220,” which is a number with significance going back to Bryce’s childhood. It means “second to none.” You can read about that in this interview from the Washingtonian of Bryce’s biographer. 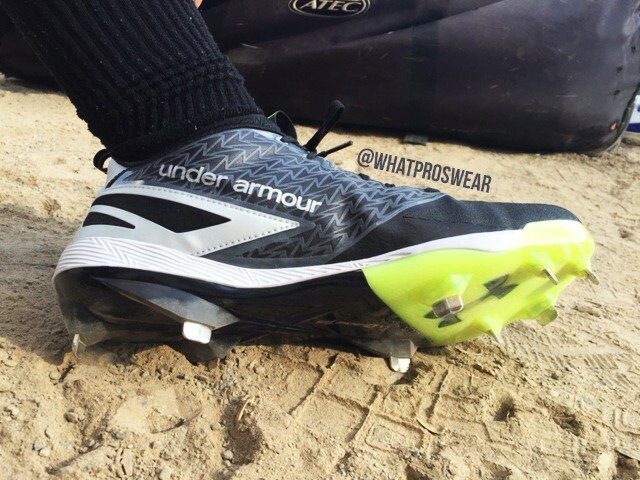 In this shot you can see the logo for UA’s “Charged” foam that our footwear expert discussed yesterday. 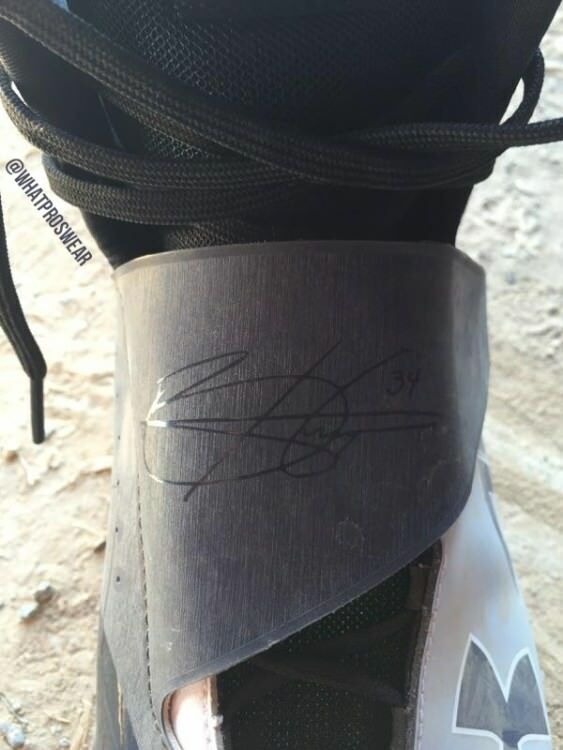 I was really hoping Bryce Harper would get a signature cleat and it looks like this is it. I do find it a bit odd that it doesn’t have the spine plate that he seems to love. The overall design of it is really original and definitely represents Harper well with its strong design lines and bold graphics.